Before your actual pickup, you have a one hour free cancellation (excludes rides over 30 miles that have a 24-hour cancellation policy). You will have a free waiting time for all domestic flights up to 30 minutes and for international flights up to 60 minutes. From address, waiting time is 15 minutes. Our drivers are all professional attired, drug screened and are limo licensed by the State of Florida. No hidden fees. Flat rate. Price is all inclusive! 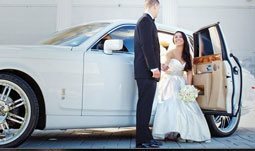 MIAMI UNIQUE LIMO is a luxury transportation service provider since 2007. Our staff is working extremely hard to maintain a customer's satisfaction. You may be reassured that the route for your intended journey will have been meticulously planned in advance. 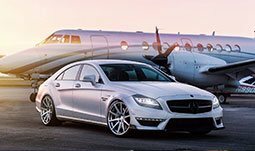 Fully air conditioned executive car or limousine of your choice will be clean and immaculately presented together with a fully uniformed chauffeur. We offer one million liability insurance policies to all our clients. 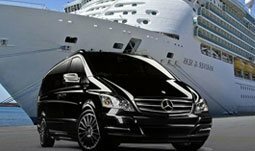 Our chauffeurs are professionally attired, drug screened, and DOT licensed. We monitor all arrival flights and provide professional, courteous, prompt and safe transportation service. We prefer at least a 48 hours in advance booking. What year are your vehicles? Our vehicles are all luxury vehicles 2014, 2015. What kind of cars do you offer for passenger Sedan? Lincoln Towncar, Lincoln MKT, Chrysler 300. What kind of cars do you offer for a luxury Sedan service? Mercedes E-class, Lincoln MKT, Lincoln MKS. What kind of cars do you offer for a luxury SUV service? Cadillac Escalade, Chevrolet Suburban, GMC Yukon. What type of stretch limousines do you have? Lincoln Towncar, Lincoln MKT, Cadillac. What kind of cars do you offer in Mercedes S-class? BMW 7, Mercedes S550 and Cadillac XTS. How much do you charge for an extra stop on the way? $25 with a 15 minutes of waiting time. Do you provide carseats and boosters? Yes, carseats are $15 each and boosters are free of charge. What are the next steps after I submit the Request a Quote form? You will receive an answer from one of our associates during 1 business hour. If you are happy with the price and the information given, you may go to our website and click e-reservation and resubmit the information with your credit card info.